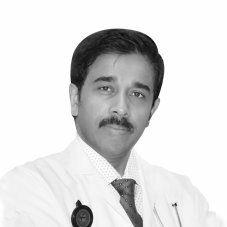 Dr. Binu Jose completed his MBBS and MD form the prestigious St. John's Medical College in Bangalore, India in 1996. He then underwent training in Neuro Imaging and Interventional Radiology at the National Institute of Mental Health and Neuro Sciences (NIMHANS) in Bangalore, India. Following this, he worked in St. John's Medical College Hospital in Bangalore, India, a 1200 bedded hospital with all specialties. After moving to the UAE in 2003, he has been the Head of Department of Radiology at the Khorfakkan Hospital, a multispecialty hospital under the Ministry of Health. In 2012, he worked with the Welcare group. In the UAE, he was also involved in training programs for students from Sharjah and Al Ain Universities. Dr. Binu has also presented papers at various conferences in India and the UAE. During his 20 year experience in Radiology in multispecialty hospitals, he has been involved in all modalities of Imaging and dealing with Trauma, Medical, Surgical, Pediatric and Neonatal Emergencies.